Presenting a hearts bridge and poker Christmas tree ornament with authentic Swarovski rhinestones. Purchase all four playing card suits for $66.00 and save $2.00! Ornament is shown and is only available in red. Make sure you view our other special edition ornaments. Heart bridge and poker Christmas tree ornaments with authentic Swarovski rhinestones can be purchased at Designer Ornaments. 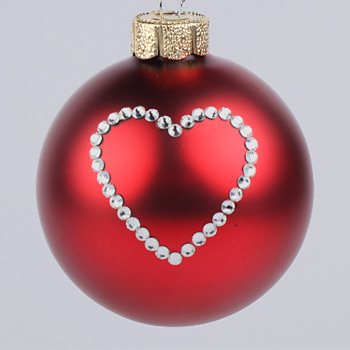 Heart Christmas tree ornaments featuring the suit of hearts can be purchased at Designer Ornaments.